The San Francisco based legal firm Righetti Glugoski P.C. retained Francis as expert witness in a class action taken by retail customer service employees seeking improvement in their conditions of employment. Righetti Glugoski are recognised as innovators in the field of class action litigation. With over 30 years of experience, they have handled a wide range of significant class action cases on behalf of individuals against corporations big and small. Francis developed and ran a two-day workshop on Relationship Marketing for Kimberly-Clark’s Professional’s marketing team. Kimberly-Clark is a multi-national organisation providing consumer essentials such as wipes and nappies for babies, health care equipment and supplies for hospitals, and tissue and washroom products. Kimberly-Clark’s Professional division supplies businesses, hospitals and governments with Kleenex®, Scott®, Kimcare®, Wypall®, Kimtech® and Kleenguard® brands. The Australian operation of Kimberly-Clark’s Professional division had decided to decommission their various legacy CRM systems and switch over to a standardised platform hosted by SalesForce.com, enhanced by the automated marketing module, Marketo. Before they began to use the technology, KC wanted to educate members of the marketing team on the principles and application of relationship marketing. There is a widespread need for senior managers to appreciate what CRM is and the cost-benefits it delivers to businesses. Francis was invited to deliver the first day of a 3-day professional accreditation program for CRM practitioners. The Association for the Advancement of Relationship Marketing (AARM) has offered CRM professional certification for over two decades. Francis worked with AARM’s Indonesian partners, iSystemAsia, to develop and deliver fresh content on strategic, operational and analytical CRM. Attendees were senior managers from many sectors including banks, telcos and property developers. Whilst in Jakarta, he also delivered a public presentation on the contemporary value of CRM to for-profit and nonprofit organisations. DNAML commissioned Francis to write a business development/marketing plan. This involved deep immersion in the business and consultations with many of the business’s stakeholders, including employees and investors. DNAML is a leader in electronic publishing. Important products include the DeskTopAuthor package that enables authors to create outputs in the DigitalWebBook format, which features a 3D page-turning document format, first launched in 2002. Listening Post is a leader in complaints-management solutions. Francis helped the business by developing unique intellectual property designed to reinforce the company’s status as innovator and market leader. The intellectual property took the form of: 1. self-assessment tools that enabled prospective clients of LP to evaluate the performance of their own complaints-handling processes against the international standard, ISO 10002; 2. an expert-system model that allowed clients to compute the costs and benefits of complaints-handling. Francis was recruited by DLA Piper to support the defence in the world’s biggest outsourcing legal case, BSkyB vs. EDS (now owned by HP). He read and critiqued plaintiff and defence documentation and expert witness statements. The case involved the design and implementation of a £48 million customer relationship management system for satellite and cable TV operator BSkyB. BSkyB alleged that EDS had made fraudulent misrepresentations in relation to resources, cost, time, technology and methodology for the project during the tender process. Relations between the parties broke down, and BSkyB eventually developed and implemented the CRM system itself, at a cost of £265 million. EDS paid a total of £318 million to settle the dispute; this included interim payments of £270 million that were ordered in the High Court judgement against EDS. Francis flew to Budapest to deliver a keynote presentation to Monsanto’s world-wide sales team. The topic was ‘customer value’, and the keynote was delivered on a day when tabloid press carried stories about Frankenstein foods. This reference to Monsanto’s involvement in genetically modified plants and seeds made for a very interesting – and challenging – event! The TIO is Australia’s telecommunications industry ombudsman. Francis and Leigh Thomas, then MD of Listening Post, were commissioned to conduct an end-to-end review of the TIO’s dispute resolution processes. Consumers and small businesses unable to get their complaints satisfactorily resolved by telecommunications service providers, ISP’s and related entities can ask the TIO to intervene. At the time of our engagement the TIO was logging 7,000 new disputes every week. We interviewed stakeholders from the TIO, consumer agencies, telco’s and others to get their views on what needed to change. We then produced and presented two reports. One was a review of world’s best practice dispute resolution schemes. The other was a 168-page set of recommendations for changes to the TIO’s processes, technologies and people. NIB is a for-profit health insurer quoted on the Australian Stock Exchange. NIB commissioned Listening Post Pty Ltd to develop and implement a complaints-handling process. Francis collaborated with Listening Post on this assignment. He conducted workshops with members of NIB’s complaint handling team, reviewed NIB policies, interviewed the industry ombudsman and investigated best practice health insurance schemes in other jurisdictions. This knowledge contributed to the development of Listening Post’s solutions. Francis was invited to deliver a 2-day management development program, focussed on Strategic Customer Relationship Management, to a cohort of Maersk managers. The Maersk Group is a worldwide conglomerate and operates in some 130 countries with a workforce of over 89,000 employees. 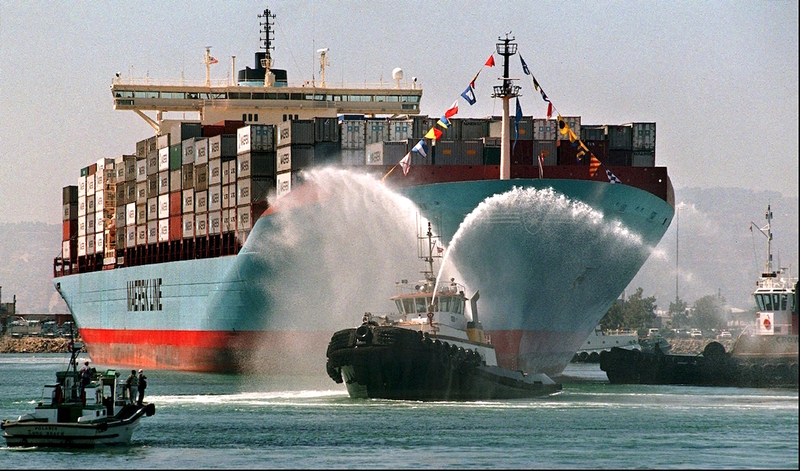 In addition to owning one of the world’s largest shipping companies, Maersk is involved in a wide range of activities in the shipping, logistics, and the oil and gas industries. It’s core values are Constant Care, Humbleness, Uprightness, Our Employees and Our Name. Macquarie Graduate School of Management recruited Francis to a 2-day per week 2-year contract to help improve doctoral research completion rates, satisfaction and timeliness. The role involved providing research guidance and personal support to over 100 PhD and DBA candidates, most of whom were part-time and based in Hong Kong or Sydney. These researchers were investigating many different topics using a wide range of methodologies.